Oh... and they have the Atom and Sportsmaster for just $7.99 for those who are having trouble finding them in person. 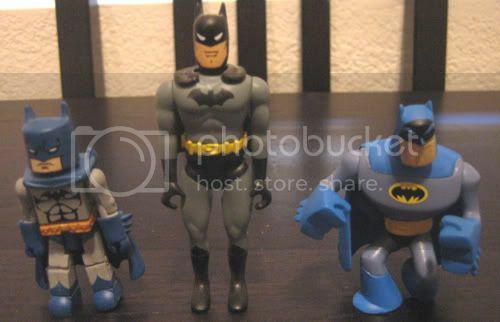 "...check out page 21 for the new Brave & Bold 2-pack figures coming out this Fall...including B'Wana Beast & Bat Knuckles Batman, Batman & Metamorpho, Sportsmaster & Green Arrow and Ocean Master & Underwater Batman..."
Bat Knucles Batman could be interesting. Metomorpho is kinda surprising. I figured he'd be an oversized character. 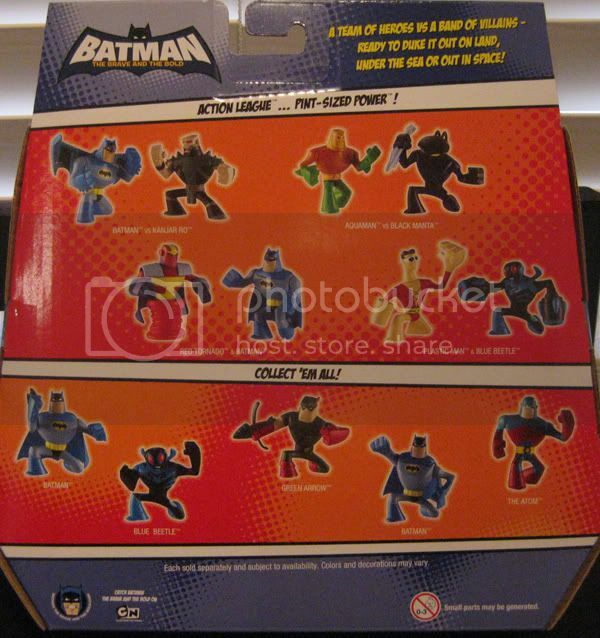 I just looked at that Toyfare earlier this evening and the 2-packs that are being referred to are for the Brave and the Bold Action League mini figs. Thanks for the pic xrmc20! 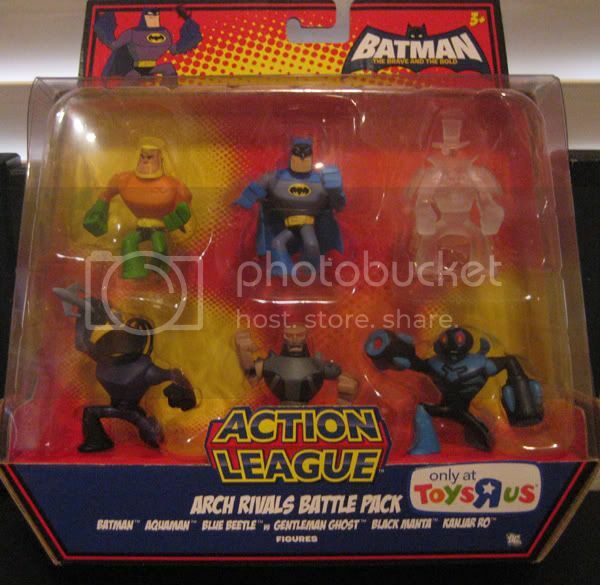 It just makes me more excited to get my package of "all things BATB Action League" this Thursday. Very cool. I've wanted to see loose pics of these. Do you have the UPC#? I can't believe Mattel didn't put holes all over the mini figures! Because that was such an awesome thing on the bigger ones! This line so could have been like a new JLU. I had a dream about BTAB figures. Except in my dream they were really cool figures. Do you like SHS figs? These are in blockier style, but if you like SHS it seems pretty natural to like these minis. I share what I think your sentiments are about the strategy with the BBB line overall though. That said, I think these minis look pretty cool. Thanks, but what are the 2 small numbers? They need all 12 numbers to check their computer.